This is our 13th annual "Perfume: the best of" post. The industry has changed over those years, and so have my sampling efforts: as I noted last year, the more fragrances they make, the less I try. We're sticking with the usual title for the sake of tradition, but it would be more accurately called "random things we liked among the random things we managed to try", and this year, I personally outdid myself to the point where I had to delete a number of my usual categories due to the lack of viable contenders. If you tried most of the 2017 fragrance releases, do comment and tell us what was best — this blog has always been a community venture, and so I will also take this opportunity to thank all of our readers for sticking with us for another year, and for being so kind to us, and each other, in the comments section. My picks are just below, and then Angela, Erin, Jessica and Kevin weigh in. After that, do click over to Bois de Jasmin and Grain de Musc to see what they appreciated in 2017. My favorite niche fragrance of 2017: A tie between Ineke Idyllwild and Arielle Shoshana Eau de Parfum. Best mainstream: Nothing from the department store counters stands out for me this year, sadly, but it is also true that I spent very little time shopping in department stores this year. Gucci Bloom was good, that's all I got. Best indie: Bruno Fazzolari Feu Secret, with a shout out to Imaginary Authors O, Unknown. Didn't: As always, too many to list, but Jean Paul Gaultier Scandal annoyed me enough that it comes to mind right away. I didn't expect much and was still disappointed: Mon Guerlain and Chanel Gabrielle. Favorite 2016 fragrance I did not smell until 2017: Maria Candida Gentile Lankaran Forest. Best packaging: I like everything about the presentation of Twilly d'Hermès, including the advertising. Guerlain La Petite Robe Noire Black Perfecto also deserves another shout out here. Collector bottle I'd kill for: a tie between Cartier La Panthère Etincelante and the peacock edition of Guerlain Shalimar Souffle de Parfum. Perfumer of the year: Jérôme Epinette. You might not know his name, but he is single-handedly responsible for some of the most popular niche brands on the market today. This year, I sought comfort. Sure, I appreciated surprising and innovative fragrances — some show up in my choices below — but I found myself reaching for comfort perfumes more than ever. So, at the top of my list this year is Ormonde Jayne Vanille d’Iris. Robin gave it a ho-hum review, and I admit that Vanille d’Iris doesn’t blaze any new trails. It’s a conventional, ladylike perfume, but it’s so rich in soft iris and delicious vanilla, all buzzing with bergamot and never getting cloying (at least, to me), that wearing it is like eating brioche toast with lots of cultured butter on a cold, wet day. I’m spritzing through my bottle at top speed. NEZ magazine. The writing and art direction in NEZ are terrific, and every article bears a couple of rereads. Get a copy if you can. Papillon Dryad. A green, spritely chypre, both modern and classic at the same time. Naomi Goodsir Nuit de Bakélite. A shapeshifter of leather and tuberose that really does smell like skin-warmed bakelite at one point. Comme des Garçons Concrete. A strange yet easy take on sandalwood. A great contender for a signature perfume (if you’re that sort of person). Mona di Orio Dojima. More comfort, this time in the form of rice pudding and wood. Mainstream Highlights: After a good showing in 2016, several mainstream brands went AWOL this year — Hermès and Cartier come to mind first. Thierry Mugler, normally one of my favorite companies, irritated me no end by not releasing their new Aura in my country before the year closed. I did, however, quite like Mugler's most recent addition to the Les Exceptions series, Wonder Bouquet, a white floral with eccentric touches of beeswax and warm bread. Bottega Veneta released their "new" limited edition Eau de Velours, essentially a fine flanker of their original feminine fragrance. Otherwise, I thought it was Dullsville at the counters. Niche Highlights: My two star niche scents of the year are oddballs: Naomi Goodsir Nuit de Bakélite and Masque Milano Times Square, the former a humid, herbal take on tuberose and karo karounde and the latter, a bizarre urban mix of vinyl and candied nuts with osmanthus. Over on the more subtle side, cult candle company Cire Trudon released a well-crafted set of five perfumes; in particular, I recommend Bruma and Deux (II). Firmly in the category of "Very nice, but Dislike Your Branding and Won't Pay" is Le Labo Mousse de Chene. Indie Highlights: Indie perfumery ruled 2017. Unlike Robin, I don't wear many iris-focused fragrances, so it was a lovely surprise to fall in love with Bruno Fazzolari Feu Secret, likely my favorite scent of the year. (And it was a double hitter for Fazzolari, since Ummagumma was good, too.) Other independent gems this year included Vero Profumo Naja, Papillon Perfumery Dryad, Dusita Le Sillage Blanc, Dawn Spencer Hurwitz Tsukimi and Zoologist Dragonfly. Best 2017 Flanker: Gucci Guilty Absolute Pour Homme, although (luckily) it bears no resemblance to its pillar scent. Signs of life again at Gucci! Best Catch-Up from 2016: I knew I would love Sarah Jessica Parker Stash SJP and I was right. TBD in 2018: Besides Aura, I had trouble getting my hands on Aedes de Venustas Pélargonium and Arielle Shoshana Eau de Parfum. Wait for more callbacks next year. Wishing you happiness, health, and many beautiful smells in 2018! 3. purchase — Gucci Guilty Absolute Pour Homme (I see the bottle every day). Other memorable fragrances were from recent sniffs and reviews: Zoologist Camel and Elephant and the fun Blackbird Y06-S. Considering the hundreds of perfumes I tried this year, “memorable” was … missing. Still, when I looked at my reviews for the year (and I reviewed all new perfumes I liked), there were many that I was happy to recall. (Cire) Trudon released a great line of perfumes and Olim was my favorite of the bunch. Amouage is hit or hate for me, but most years one of their perfumes stands out enough to make one of my seasonal or year-end posts: this year it was the weird Figment Man. I like the Zoologist line and one of my favorite animals got the spotlight: Rhinoceros. Vero Profumo Naja was a beautiful perfume creature, too. Plants? I enjoyed Etro's ManRose and the “mythic” plant represented in Stora Skuggan Silphium. Two gourmands make my list, Hilde Solani’s Hot Milk and Kerosene Follow. Honorable mention: Frédéric Malle Superstitious, not my style (too old-school feminine) but well done. Tons of perfumes released in 2017 never reached me to sample, and not smelling them didn’t keep me awake. Since the world right now is so full of negative EVERYthing, I’ll refrain from disparaging any new perfumes or perfume bottles or trends. Here's to a HAPPY 2018 for us all. Note: image at top of post is Bottles & Reflections (Revised) [colorized] by dvaires at flickr; some rights reserved. 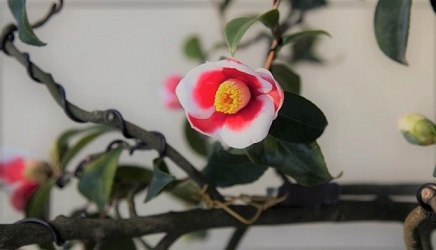 Lower image is Camellia Bonsai [cropped] by nycbone at flickr; some rights reserved. Happy New Year to Robin Kevin and Jessica! Before you seek it out I will tell you that its very much a unisex scent on me. Its also, which is very rare for the La Matière line, long lasting, so proceed with caution when testing. I don’t mind unisex at all! Dying to try this one too!!! Ambre Fetiche is wonderful! And I have YET to sniff Arielle Shoshana. Must remedy that! I loved Arielle Shoshana too but it got a big boo from my boyfriend. Not saying I wouldn’t buy it, but it got bumped down my list. Thanks for sharing your favorites. In the past few years I have had a growing interest in perfumes and the perfume industry. Can you describe the differences between niche, indie and artisan houses? Also how natural perfume makers fit into these descriptors. Or if there is a link to a good informative article; I would greatly appreciate the guidance!!! Happy 2018 and beyond to you all!! There are no hard and fast rules. And the prior “rules” of niche have especially changed — it used to be based on distribution, but as mainstream sales have flagged, many department stores have made a point of picking up smaller niche brands. So in some cases, honestly it is a “feeling” as much as anything else, and you can argue with my classifications! To me, artisan means nothing, in perfume or anything else. Everybody calls themselves that if they can. Niche is inside the fragrance & flavor industry in terms of development and distribution, but has more limited distribution. The Fragrance Foundation used to have a specific definition of the number of doors (basically, stores), but I’m not sure how meaningful that is today. Most natural lines are indie, but they don’t have to be. There are niche natural lines too, and there could certainly be mainstream natural lines although offhand I can’t think of one making fragrance at the moment. Golly outstanding information. Thanks so much, SO MUCH, for taking the time to detail this out! I’m in a just past mid life crisis and trying to figure out how to make life exciting through the things I love and find interesting. So glad it was helpful! And hope anyone who has a different way of looking at it will chime in. I will add that I do think there used to be a distinct difference in the kinds of fragrances that mainstream brands and niche brands produced — you could pretty much assume that mainstream brands would make trendy but not necessarily interesting fragrances, and that niche would put their time & effort into making interesting, well-crafted fragrances, often with better materials. That does not seem to me to be true anymore at all. There are lots of niche brands making what I would call “trendy but not necessarily interesting fragrances”. And there are mainstream brands making interesting fragrances with good materials, for that matter. In that sense, figuring out “what is niche and what isn’t” might not matter as much as it used to. I think these days, with the huge amount of product out there, it makes more sense to find brands that suit you and ignore the other distinctions. Downtown Scott: if I recall, you are in Columbus, right? I would be glad to share some fragrances from my favorite houses (Tauer, Chanel, Comme de Garçons and others) I have a pretty big collection, although it is somewhat limited in that it tends to focus on a few notes or houses. Prosperous, healthy & most of all happy 2018 to Robin, Angela, Erin, Jessica, Kevin & to all friends who speak up in the comments. May smells be ever in our favor! May cookies be ever in our flavor! And a very happy New Years to you! I can see from your list that you tried far more perfumes than I did last year. Thanks for taking the time to explain how this works. I very much like the idea of themed posts & lists appearing on different sites on the same day but at the same time I can imagine it takes some effort to do all the checking so that everyone is ready on time. Yes, I’m still on that phase when I like to try a lot of new things (which becomes quite easy when you attend Esxence and Pitti) but I also become more picky as to what really deserves a skin time, so just like you that leads to trying less. In 2016 I tried more than in 2017. Let’s see if next year brings something good. Well seriously, start a new group! There are still enough people blogging about fragrance that it would be worthwhile to have a group posting on the same day. Plus there are all sorts of themes that nobody is doing, you could be really creative. Too many items to hit upon all at once. I’ll just say, thank you to all NST contributors and most of all Robin! You all have been incredibly kind and helpful, and I log in several times a day to see what’s new. I’ve been on here for years and years, and I still come back. Happy New Year everyone! And you too, fellow commenters. I bought more vintage than new, but I did fall in love with Naja. Sadly it’s the same price as the Nahema extrait I’ve been watching…. I’ve also had a lot of fun with The Zoo by Christophe Laudamiel, especially his Louis (woodsy/spicy/iris) and Eau My Fig (creamy and dreamy). Pretty excited about CdG’s reissued Eau de Cologne, which is on my list. And my mother liked Twilly and I didn’t mind it. And thank you right back — you are always helpful and kind! Plus, you have smelled lots of things that I have not. I am probably getting too reluctant to try new brands, and have to expand my horizons a bit. I feel the same way about new brands, but I follow Mr. Laudamiel on Instagram and I caved. Robin, I think you’d love the fig! You can practically see it. Louis is nice too, and reminds me of an early CdG, maybe closest to White. Sadly his sampling program is… odd, but I could probably pass on one or two. They’re 5ml each! I sort of knew about the brand but didn’t investigate it at all — probably I assumed it would end up more widely distributed than it has. Adding it to my list of things to look into! If you own Knize Ten you are in good shape no matter what, right? My favourites of 2017 are Puredistance Warszawa (rich white flowers with a gorgeous dry down) and La Parfumerie Moderne Belles Rives (beautiful iris, joins Cuir X as my favourite from the line). I also love almost all of Papillon Dryad, it just goes through a brief scorched herb phase which puts me off stumping up at that price point. Interesting. I recall having a similar hurdle with Dryad, but I liked most of its phases. I guess that speaks to its complexity. So happy you love Belles Rives. It’s gorgeous. I owe you thanks for putting me on to it originally – it’s lovely. Hope it gets more general attention next year. And I can only agree most in stereo: Chanel Gabrielle. What a disappointment. We wait what feels like an eternity…for that? I wonder if Gabrielle is selling to expectations? It is much harder than it used to be to tell what is making an impact, and in fact I suspect it is no longer possible to make an impact in the way fragrances used to. I think it does. It’s a no brainer perfume. I does what it is suppose to do and a lot of my friends adore it. Which is fine, as I don’t mind smelling it around me. But as many of us here, I like a perfume that challenges me (for the most part..sometimes, I *do* like a perfume, that just smells good and gives me comfort, like the new Glossier You perfume) and I always have great expectations when it comes to Chanel, because I can’t help but compare to their old releases or the Les Exclusifs line. It is harder to tell what is making an impact and yes, it is even harder to make an impact, as there is 100’s of new perfume releases pr year. I miss the days when you got totally excited for new launches and such. Now, i’m mostly not impressed or not even excited. And yes, there is always hope! Thank you so much to all of the NST contributors! More than any other perfume blog, this one feels like a family. This is always where I come first on the Internet to waste some time Have an amazing and gorgeous-smelling end to 2017! Ha! I think that applies to the entire internet! I had a good year perfume-wise for new releases. Got Twilly, Café Tuberosa, Feu Secret and Ummagumma. Would have liked to buy Black Perfecto but perversely Guerlain is refusing to sell it here. Will buy when I’m back in Canada. It is so odd that Black Perfecto is not here! For me, the “best of 2017” has been this blogging and commenting community, as well as those on other blogs I follow. I learn so much from all of you; and like Robin, I appreciate how patient and thoughtful your comments are, especially with newbies like me. 2017 was a tough year in our family, losing both my mother and my husband’s mother. Not completely unexpected, but still sad. 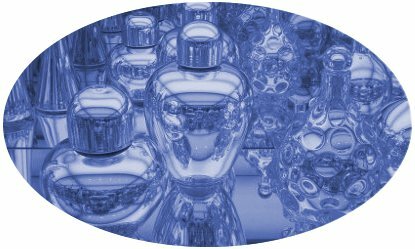 Fragrance has been a respite for me, and I value the ongoing “tutorials” in these blog posts and comments. Here’s to a happy and fragrant 2018! That must be so hard to both have such a tremendous loss in the same year, I’m so sorry. Glad if we provide any escape at all! Cheers and hope 2018 is a year of healing for you! Totally agree on all accounts! Very well said, Old Herbaceous! The best of the heat was the blogs! And sorry to hear of your losses. I’m so sorry. My sincere condolences on your losses. This is a great place to learn, share and find some joy. Best wishes on the new year to you. Thanks for all your lists and for keeping us smelling good and entertained tirelessly all year long and this year seemed especially long. You all rock! Wishing everyone a great 2018 with strength and courage to deal with all of life’s challenges. I had to look up JPG Scandal again. Forgot about the drowning-head-first in a perfume bottle. Hilariously awful ???? But not as bad as the Carolina Herrera black stiletto bottle, imo. Or maybe just different awful. This was the longest year ever! I too was extremely disappointed with Chanel’s Gabrielle. Nothing about it wowed me! And the sillage was poor to me. From so much built up anticipation for this, I had high hopes but was disappointed. Oh well…..
More where that came from, right? Thanks — lots there I have not tried! Thank you Angela, Erin, Jessica and Kevin, and of course Robin, for the lists and all your lovely blog posts this year! My favourites of 2017 were Dryad and Siberian Musk (and I really disliked Scandal). But to be honest I havent tried that many 2017 releases. I tried lots and lots of perfumes from other years though. I am a bit of a rookie (started exploring the perfume world almost 2 years ago), so I have like a century of releases to catch up with. Hahaha. And you’re arguably more likely to find the older stuff more interesting! Thanks for writing so much about fragrance! I check this blog pretty much every day for new insights, and I haven’t tried many of these, but I agree with the insights presented for those I have. I didn’t agree with the expert reviews about Superstitious though, because I love it and think it’s brilliant. ☺️ But for fragrances for myself, I tend to go for sort of old fashioned florals without much exception, anyway. Have experts said Superstitious is not good? I did not know that. It is not the sort of fragrance I would like, so I was not surprised when I did not like it. Nice, congrats! I would like to have Idyllwild too, and Field Notes From Paris while I’m at it. Robin, Angela, Jessica, Erin, Kevin, thank you for such a great list! I am very thankful for this wonderful blog. As I said before this is a place where we talk not only about fragrances, but also about our own personal stories. We always feel here that support and understanding so many times needed. This community is a family and I wish you all that 2018 is a much better year than 2017. I sample many perfumes this year, new and old, but as days pass less and less really win my heart. My biggest disappointment was Cafe Tuberosa. I still hope to see a good coffee perfume release in the future. Great releases Arielle Shoshana Eau de Parfume, Un Air de Bretagne and Ummagumma. Looking forward to a new year with amazing fragrances , health and happiness for all of us. Happy New Year 2018! I had forgotten about it. I will added to the list of perfumes to sample next year ????. Thanks, Robin, for keeping NST up and running. I’ve been a daily reader since 2005, first as rosarita and then as ringthing. Thanks to all the great contributors and commenters too, of course, I learn something here everyday and you all keep it light and fun to read. I can’t decide if it was my hardest year, but it’s a definite contender. Hope we both have an easier time in 2018! Amen to that ring thing, mine too, a personal loss that only time will heal. I have such ambivalence as It ends. Been off the grid too, but I support your choices andI ADORE Civet!!! ( any Epicesd’hiver in your DSH Samples? It was very popular last a Christmas and smells heavenly- very holiday and cool weather cool. I am wishing you peace and regenerative strength in 2018. Ooh, Epices d’Hiver sounds great, thanks! And thank you for the good wishes, I wish the same for you. I guess that’s it! Of course I could include some 2016 perfumes that I didn’t try until this year, like Violaceum and Civet. But to be proper, I won’t. ???? I really need to get those January Scent Project samples, they’re getting so many votes! A big “yes!” to trying random things. I’ve found favorite scents that way. CdG Sweet Sticky Cake is one of them, full bottle-worthy for sure. Thanks to all the people of NST who take time to share thoughts about the perfumed landscape. Call me Mostly Mainstream Molly, I really like Gucci Bloom. Comparing it with Gabrielle cemented my belief that jasmine notes are perceived very differently from nose to nose. Screechy for me may be someone else’s idea of heaven. Lesson learned. I would like to try Black Perfecto, Nuit de Bakelite, Concrete, and Pelargonium plus Camel and Elephant. Also Un Air de Bretagne. I hope to do more sniffing at shops and perfume counters next year, at a leisurely pace, and (hopefully, woefully) without feeling the need to buy more more more. Onward and upward! I keep forgetting about Air de Bretagne, I need to try that too! If Air de Bretagne leans to salty seaside breezes and away from “aquatic”** it will be a winner for me. I’ve had good luck sampling from L’Artisan over the past few years. I hope to find tester bottles of Bucoliques de Provence and Histoire d’Orangers as well. **A nuclear-day-glo-aquatic sample of Tom Ford Oud Minerale had to be escorted out of the house a few days ago. Thank you NST team for the fabulous information, and you all for the friendly community here. This is my favorite place to read while I wind down. Wishing you all the blessing of happy celebration and a joy filled new year! Happy New Year to all of you in NST-land! Robin et al, thanks for the great round ups at the end of the year. And hey, no one can make us repeat 2017!